British car brand Mini’s latest built-in 4G SIM technology digital system is now available in all its 2019 models. Like the models of its parent company BMW, the Mini Connected offers the Intelligent Emergency Call feature that automatically dials its emergency call centre when crash sensors and airbags are activated. It can also be triggered manually to request help for other road users. Its TeleServices function keeps owners up to date on maintenance and service needs, and enables remote diagnosis or helps with organising assistance in case of a breakdown. Get the weather and latest news reports by having the car read them out via the audio system while a newly available Concierge Service provides support at the touch of a button. Alternatively, just ring up the call centre free of charge, thanks to its 4G SIM. Mobile phone connectivity has also improved with Apple CarPlay allowing selected apps for iPhone users, such as Waze, Spotify, WhatsApp and Google Maps, to be displayed on the central screen, operable via the Mini’s controls. 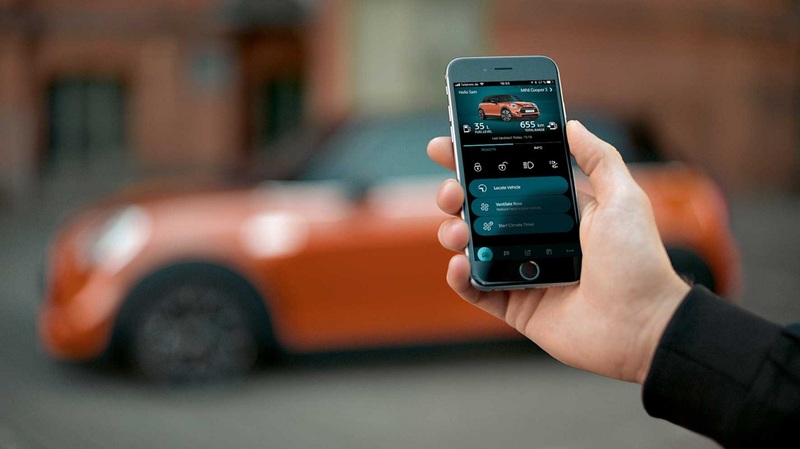 A redesigned app also allows drivers to better access the eDrive Services and you can control the Mini’s functions using your smartphone, be it to operate the headlight flasher, to honk the horn or help locate your car. Synchronising the app with your personal calendar allows you to plan your journey and appointments better, especially with the “Send to Car” function that transfers routes set on the smartphone to the car’s navigation system.